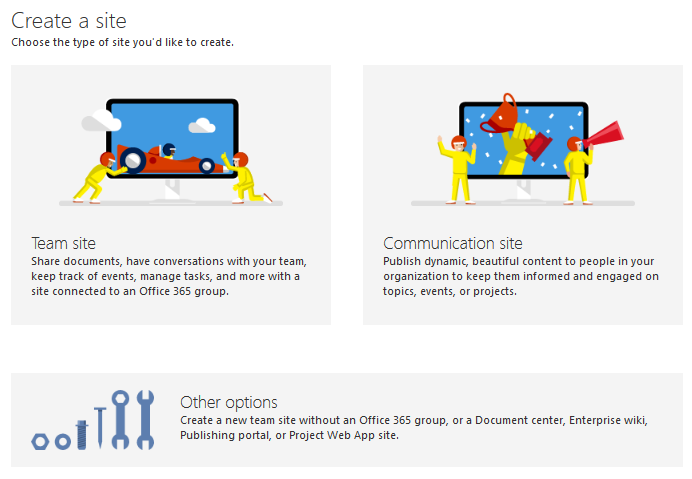 Home SharePoint Online Site Collection How to Create a Site Collection in SharePoint Online? How to Create a Site Collection in SharePoint Online? Login to SharePoint Admin Center as a tenant admin or SharePoint Online Administrator. Click on "Site Collections" from left navigation >> Click on "New" >> and then "Private Site collection" to create a new site collection. Select the Template for your site collection, typically "Team Site" will do. 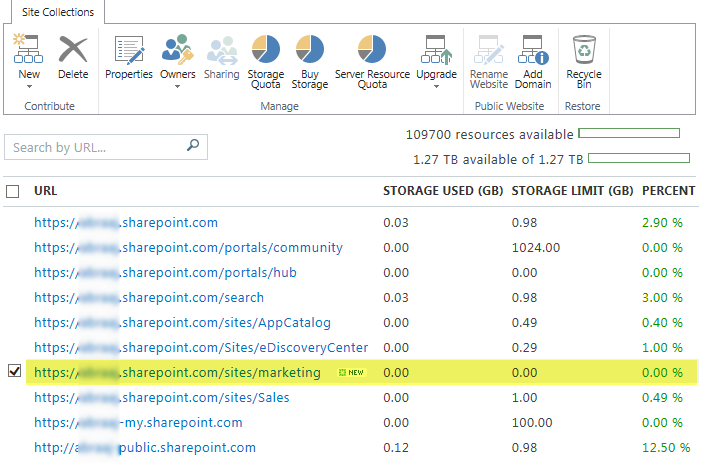 Set the storage quota, Site collection Primary owner for the site collection. Click OK to start creating new site collection. Wait for a moment and your site collection should appear in the site collections list. 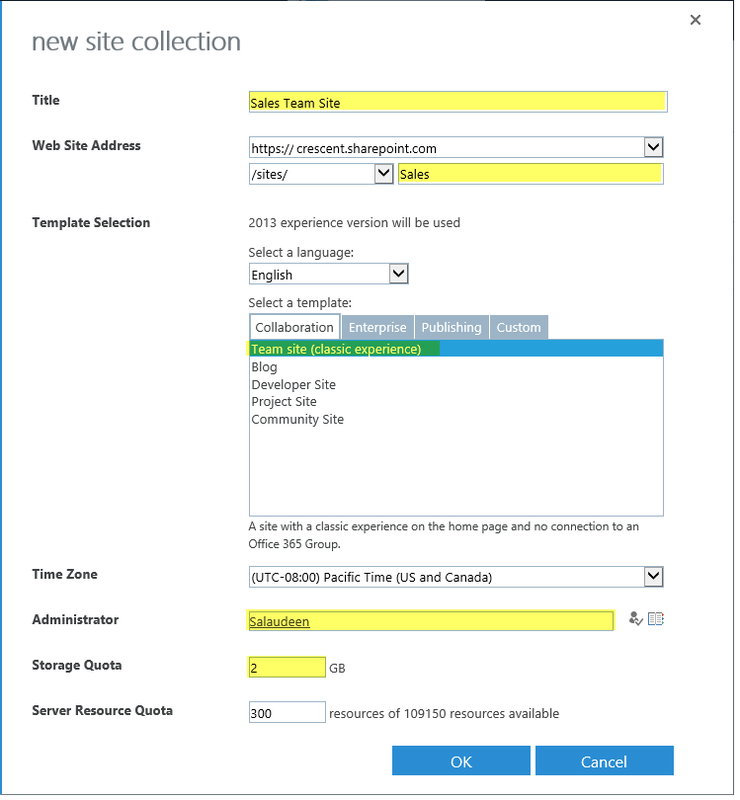 Wait for a minute and this creates a new site collection in SharePoint online. To create modern team site collection in SharePoint Online, use use "New SharePoint admin center"
Pick either "Team Site" option to create a modern team site collection with Office 365 group or "Other Options" to create a modern team site without Office 365 group. 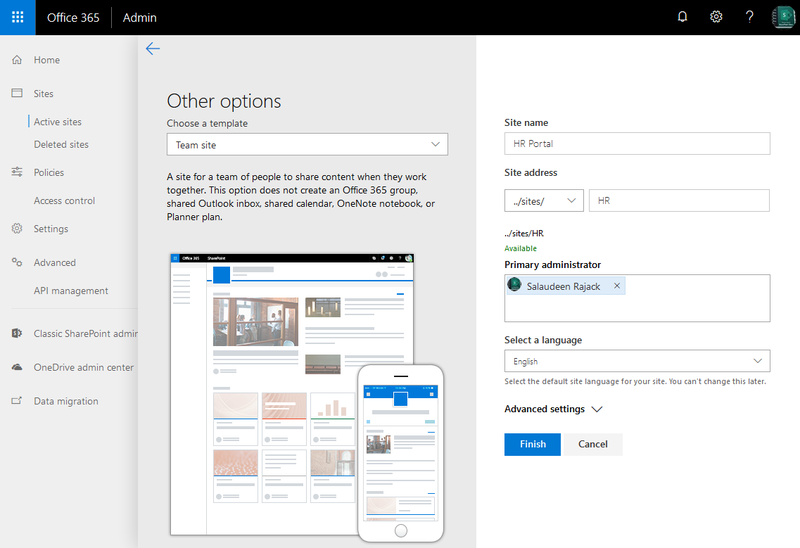 Pick the template as "Team site", Provide a Name, Administrator options and click on "Finish" to create modern site collection in SharePoint Online. To create a site collection in SharePoint Online using PowerShell, use: How to Create a Site Collection in SharePoint Online using PowerShell?